My fascination with Japan began in the very early 80′s, when a young Japanese man came to my small New England town to work at my father’s company. He soon brought his young wife and baby, and they moved into a huge apartment in an old Victorian not far from our house. I can’t recall if it was huge by American standards, but it’s safe to say that the living room of that Massachusetts apartment was bigger than my entire present-day Tokyo apartment. I remember everyone from the company embracing them, with equal fascination. Aki told wonderful stories with unexpected punchlines, always with his carefully chosen words and reticent manner. And I was enamored with that baby, yes, accosting her at every possible opportunity. But my real infatuation was with his wife Sachiko and all the little differences in their home: always wearing slippers in the house, sitting on the floor for meals around a low table, her delicious dumplings, rice cooked not on the stove but in a small machine, artwork and fabrics and clothes that always looked like something from very far away. My father builds pipe organs, and as a result, I was lucky to grow up in the wonderful, unique, nerdy, creative world that is organ building. A world of imported Japanese playmates, clam bakes and birch beer, running through labyrinths of dangerous, heavy machinery to play hide-and-seek, fighting over who gets to push the Japanese baby on the swing, making stuff out of wood, jacking around in the voicing room, drinking enough water to make the water fountain “burp” and pestering employees for piggy back rides. What, you thought I meant impressive, complicated instruments that take years to build? 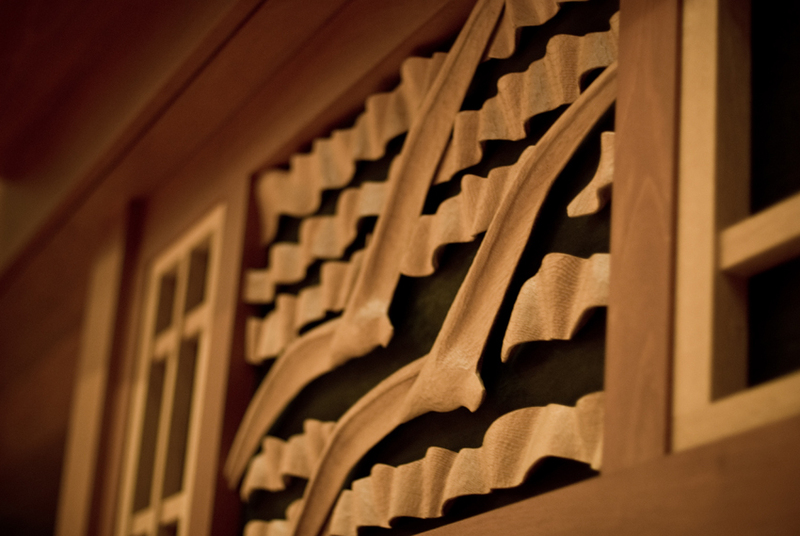 A company that prides itself in craftsmanship and its dedication to the art and history of mechanical action organ-making? 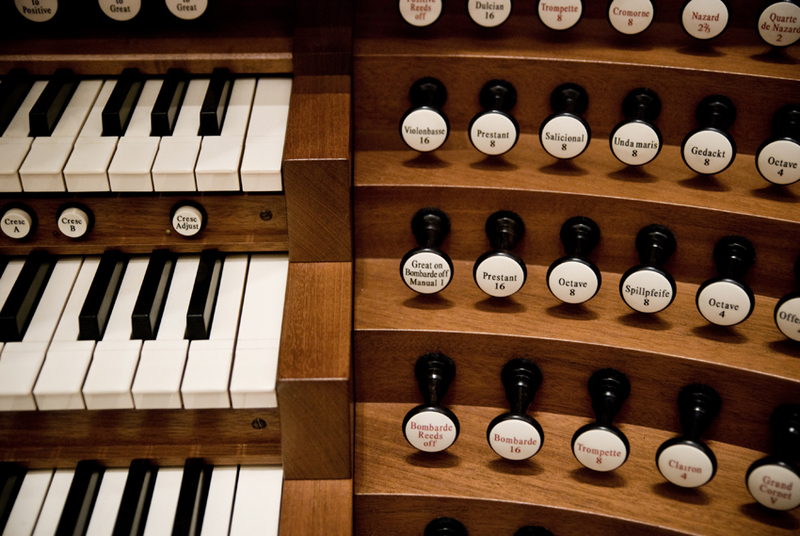 Being surrounded by talented organists who play with skill and precision? Oh god, no. I mean, yes, that all exists. But have you ever had to sit through one of those concerts for your entire childhood or listen to organ “jokes”? You would be begging to play with that Japanese baby, too. After I finished college, they began work on an instrument for the new Minato Mirai concert hall in Yokohama, Japan, their first international commission. Aki, who had returned to Japan, was a key liaison with the client throughout the project. It was exciting, of course, that my father was traveling back and forth to Japan. Yes, sure, his photos of the organ installation were “interesting,” but the real excitement was the sweet bean cakes and beautiful silkscreened fabrics he returned with, photos of Mt Fuji and stories of riding the super trains of the future. All of this is to say that 11 years later, I was finally able to see this beautiful, mahogany, Japanese organ made by a handful of nerdy New Englanders, a handful that includes my dad. 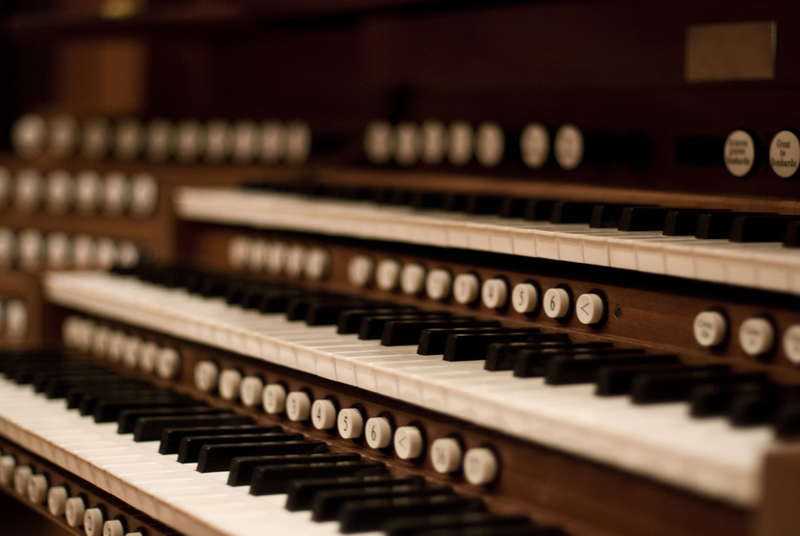 I went to the console and crawled around inside for a bit; saw the signatures of famous organists scrawled on the massive wooden pipes and photos of my nerdy organ family pasted to the inner walls; and recalled stories of growing up around these massive beasts to the concert hall staff. Standing beneath this giant instrument, which is so authoritative and foreign to so many, yet so familiar and comforting to me, in a country which was once so foreign and faraway, but has become a familiar home to me. Well, that sounds like a full circle. 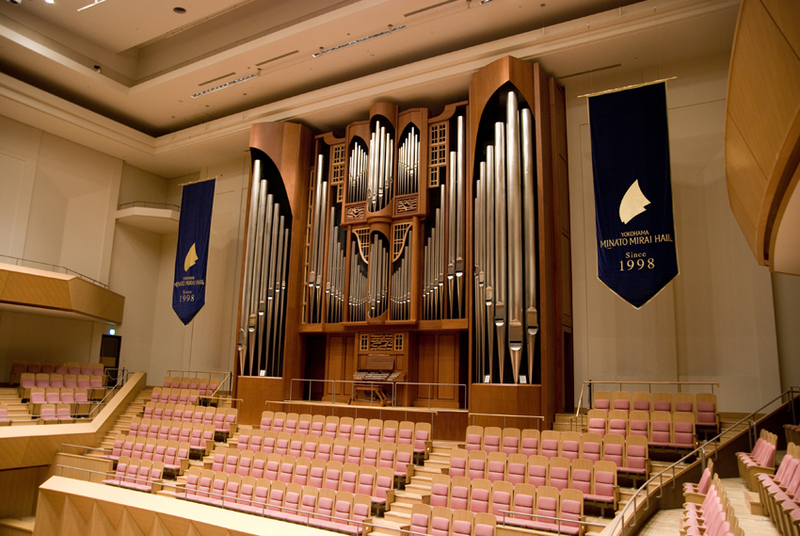 It is actually quite interesting…more about the Yokohama organ here. This entry was posted on Wednesday, September 30th, 2009 at 12:23 am	and is filed under Japan and tagged with CB Fisk, Japan, pipe organs, Yokohama. You can follow any responses to this entry through the RSS 2.0 feed. What an awesome story. Wow. The one the company made in Chicago isn’t too far from where I live, and because Elliot and I are nerds, we’re gonna go see it. It must have been incredible to be able to go and see this one special organ. Building something this monumental with your own hands is definitely a noble trade. that totally gave me goosebumps. i mean … this is so far beyond awesome i don’t even know what to call it. how great that you were able to see it, especially now. perfect. what a gorgeous story! so amazing! Steph, lovely story – thanks! It’s the first Fisk organ I had any (just a little bit) of a hand in, but I’m very proud of it. So glad you could go there! You invited me to Fisk once for some event (plenty of Twin Lights to go around!) so it helped bring to life your early memories of that place. 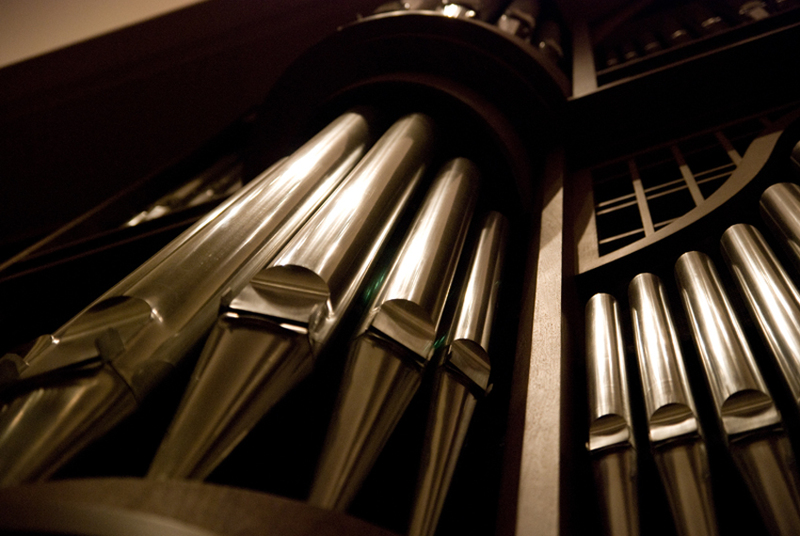 I think of your dad whenever I see a pipe organ; we saw a handful of gorgeous ones in Europe. I had to play organ when I was a kid. The one we had was an early version of the kind you would hear in malls in the eighties, pretty much playing themselves. It was awful. I always wanted a piano; they just seemed so much more real to me. Had I gotten to play, or even know about, an organ a beautiful as this, maybe I would’ve stuck with it. I bet the kids of Wurlitzer didn’t have nearly as much fun as you.